Chandigarh, Punjab :- Additional District and Session judge of Union Territory of Chandigarh Justice Jasvir Singh Sidhu started hearing the case of Beant Singh’s assassination against Bhai Jagtar Singh Tara via video conference on August 19. Due to unavailability of evidence by the Central Bureau of Investigation (CBI), the court deferred next hearing on September 14. Reliable sources informed that CBI had submitted the first hand evidences to Supreme Court while challenging the lower Court’s decision about Bhai Jagtar Singh Hawara and Bhai Paramjit Singh in the Apex court. The former Chief Minister of Punjab Beant “Singh” was assassinated in a bomb blast in the Civil Secretariat, Chandigarh on August 31, 1995. The CBI had arrested nine people in this case. The arrested nine were Bhai Balwant Singh Rajoana, Bhai Jagtar Singh Hawara, Bhai Paramjit Singh Bheora, Bhai Gurmeet Singh Engineer, Bhai Lakhwinder Singh, Bhai Shamsher Singh, Bhai Naseeb Singh and Bhai Navjot Singh. While the case was under trial in a Court of Union Territory, the accused trio Bhai Jagtar Singh Hawara, Bhai Paramjit Singh Bheora and Bhai Jagtar Singh Tara managed to escape from Burail jail, Chandigarh by digging a tunnel on January 22, 2004, along with a common convict Devi Singh. Bhai Jagtar Singh Hawara and Bhai Paramjit Singh Bheora were arrested within a year while Bhai Jagtar Singh Tara and Devi Singh succeeded in reaching Pakistan. Bhai Hawara and Bhai Bheora were sentenced to life convict till death by the Court of Union Territory. 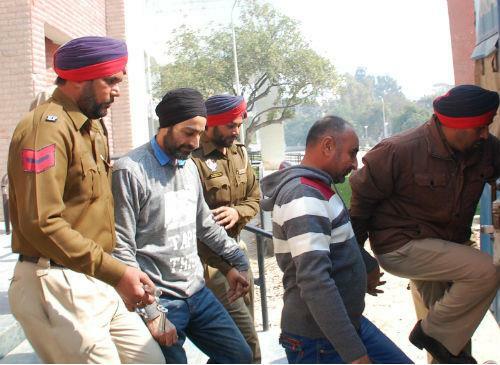 Bhai Jagtar Singh Tara Produced in Jalandhar Court | Next Hearing on 11 Feb.